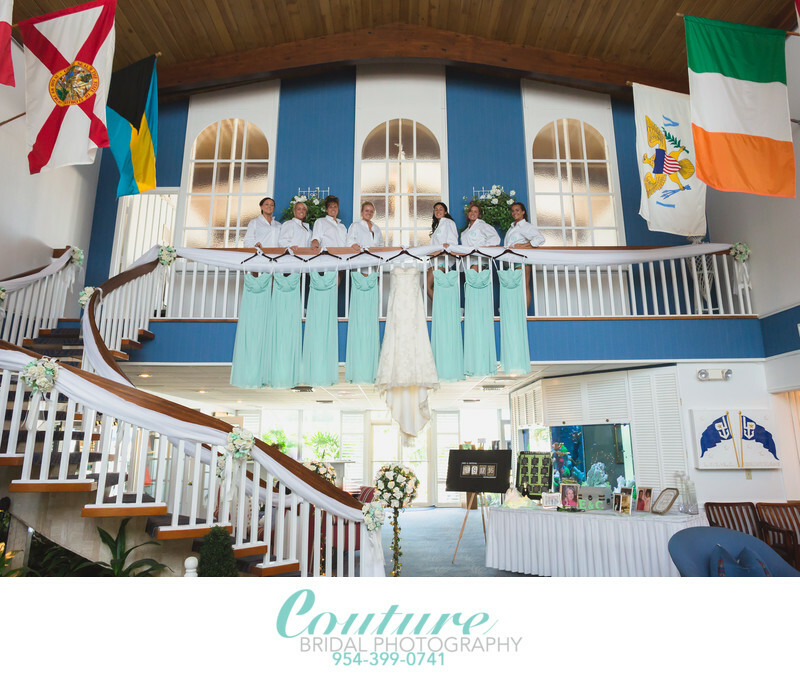 Couture Bridal Photography is known throughout South Florida as the best Lighthouse Point Yacht Club Wedding Photographer. Couture Bridal Photography offers the most elegant, romantic and timeless wedding photography that has garnered the attention of international wedding publications as the best wedding photography in Fort Lauderdale and among the best in the United States. Couture Bridal photography is the only Fort Lauderdale Wedding photography to offer a unique and dynamic style of fine art documentary wedding photography. Alfredo Valentine, owner and principal photographer of Couture Bridal Photography has developed this unique style of wedding photography from europe and Australia's world famous photographers for which he was fortunate to study with and under. The unique style of wedding photography offered by Couture Bridal Photography is a mix of Fashion, glamour, editorial and illustrative photography with an added touch of flair. Complex compositions, posing and creating emotion to make images speak on their own is what has made Couture Bridal Photography the most trusted, respected, commissioned, and sought after wedding photography studio not only in South Florida, but across the US, Caribbean and South America. It has also made Couture Bridal Photography the preferred wedding photography studio of the Lighthouse Point Yacht and Racquet club, Grande Oaks Golf Club, Harriet Himmel theatre, EAU Palm Beach Resort, Marriott Delray Beach, The Curtiss Mansion, the Breakers and many, many more! Book the best Lighthouse Point Yacht Club Wedding Photographer for your wedding anywhere in the world. Location: Lighthouse Point Yacht & Racquet Club - 2701 NE 42nd St, Pompano Beach, FL 33064 . Keywords: bridesmaids (21). 1/320; f/4.5; ISO 3200; 24.0 mm.